Nadabrahma Health Academy offers a wide range of healing treatments and workshops that will bring the balance and harmony both to your body and mind. This program will give you a beautiful opportunity to create and manifest happiness, joy, balance and harmony in every aspects of your life and your future clients’. Tara Sound Smudge Sprays simply cleanse your home of negative or stagnant energy. These magical sprays can turn any space into a sacred haven. Please check our upcoming events in Nadabrahma Health Academy. Nadabrahma Health Academy provides a wide range of both individual and group treatments and workshops. During the sessions we focus on harmonizing your body cells, slowing brain waves and induce deeper state of relaxation. Check our workshops and courses upcoming events! We love our clients and are fully dedicated to keeping their trust by offering amazing treatments and life changing trainings! It was the standout experience (…) I attended Marta session (…) the aim of the session is to realign and to harmonise; a holistic practise that clears any physical, mental or emotional trauma the body may be holding on to. A session will enhance the energy of the body.Unlike most practitioners, Marta, who also teaches sound healing, begins with a chat, akin to a small counselling session. Her aim is to identify the cause of your stress, in order to more effectively deal with it. She proved herself to be uncommonly perceptive in her advice. 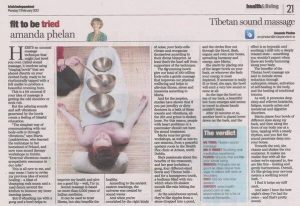 Afterwards, I lay on the bed, and she went to work, first using metal therapy Tibetan singing bowls which are placed on your body. Marta taps these, sending vibrations throughout you. After this came the gong bath; a process described as bathing the body in sound. It can feel like floating, some see visions. To me, it was like an accelerated meditation. The aftermath was like waking from the most refreshing nap of my life. If you have found yourself run-down, depleted to the point where even attending a yoga class seems like a struggle rather than enjoyment, this is for you. It requires nothing of you. When you cannot replenish yourself, sound therapy will do it for you. I felt as if I had been plugged into a reenergising force. 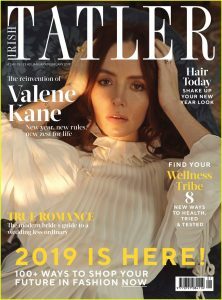 Parent’s of small children, or carers, people with little time to themselves who need a short, hugely effective restoration, should try this.,,-Lia Hynes- Tatler Magazine. Bring positive energy to your home or workplace with our Tara Sound Smudge Sprays! Nadabrahma Health Academy magical sprays can turn any space into a sacred haven. Simply Pay for your Treatment, Workshop or Course!